Recently, China Association of Automobile Manufacturers announced that automobile restriction may be implemented, after cities like Beijing and Guangzhou, in another 8 cities, including Tianjin, Shenzhen, Hangzhou, Chengdu, Shijiazhuang, Chongqing, Qingdao, and Wuhan. CAAM also predicted that, once implemented, the restriction would result in a decrease of 25 percent of auto sales in these cities, a direct reduction of sales of 400,000 vehicles, which account for about 2 percent of total auto sales in China. Five cities, including Shenzhen and Qingdao, have suggested that the purchase restriction is not likely to be implemented there in the near future. The Traffic Commission of Shenzhen has published a post on its Weibo page stating clearly that Shenzhen "will not implement purchase restriction" but will guide the proper use of vehicles through facilities supply, economic lever, traffic management, promotion and lobbying, and other comprehensive measures. Based on studies of cities that have implemented purchase restriction, CAAM said that purchase restriction has not been effective in improving traffic and environment in China, but has created an impact on the development of Chinese auto brands. According to statistics, after the announcement of restriction policy on the purchase of passenger cars, consumers in Shanghai, Beijing, and Guangzhou tend to buy larger-sized cars, larger-displacement cars, more expensive cars, and imported cars, and the market share of Chinese brands has been reduced almost by half. Also, the restriction has also affected the sales of small-displacement cars. Take Beijing as an example. The proportion of 1.6L-and-below cars has been reduced by 17 percent since the implementation of the restriction. Dong Yang, executive vice president and secretary general of CAAM, said that in these cities, Chinese auto brands have in fact been marginalized, which has been the main cause of the decrease of the market share of Chinese auto brands in the past two years. An official from Geely also said that the purchase restriction policy in Beijing and Guangzhou has produced objective influence on the development of home brands in the first-tier cities, and it is hoped that the same thing wouldn't happen again in other places. "Auto companies certainly wouldn't hope to see the implementation of restriction policy. However, once it is implemented, the only thing they can do is to try to maintain their market share by improving their competiveness. According to Wang Fengying, president of Great Wall Motors, the market share of joint-venture brands has not decreased significantly since the purchase restriction policy, neither have the sales of popular car models been reduced; therefore, the true test of the purchase restriction is on the core competiveness of the companies. Wang Fengying said that: "At the start of the purchase restriction policy, we were anxious too. 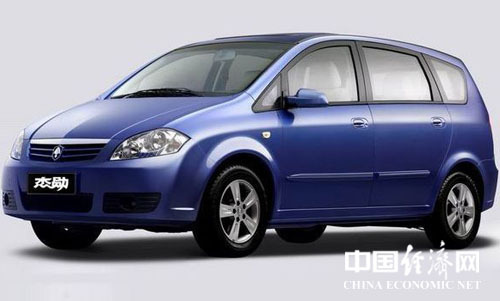 4 months later, however, Great Wall Motors' sales in Beijing rose instead fell". Great Wall didn't reduce the sales targets of dealers in Shanghai, Beijing and Guiyang because of the restriction policy, but dealers there have all achieved the targets, and not as difficult as they had imagined. On June 17, the General Office of the Ministry of Foreign Affairs published a post on its official Weibo page, announcing that "Wang Yi, Minister of the Ministry of Foreign Affairs of China, will start to use a Chinese Hongqi vehicle as his official transport from today on". This short post has been vehemently commented and reposted by internet users. Almost everyone was applauding the minster's support for domestic brand. On that day, the stock price of FAW Car Co., Ltd, a listed companies owned by FAW Group and the company that runs the Hongqi brand, closed with a rise of 1.73 percent in spite of the overall downward trend of the market. Earlier than that, the stock price of FAW Car had witnessed several daily rising limits in two weeks' time thanks to the good news of Hongqi, with the stock price almost doubled in those two weeks. Apparently, the government's high-profile choice of Hongqi is a signal to the industry that even with new purchase restriction policy they will still support the development of home-grown brands with real action. "The government's taking the initiative is of great importance to boosting the consumption of home-grown brands", Dong Yang told the reporter. According to Dong Yang, auto consumption can be more easily influenced by boosting measures than consumptions of other fields. Industrial insiders call on more institutions to choose Chinese brand cars as their business vehicles; this will be of great importance to the development of Chinese brand cars.